The implementation of value added tax (VAT) in UAE at the start of year 2018 was a new step that wasn’t quite welcomed by most of the businesses. There was quite distress and fear among companies about payment of their taxes and decrease in their business activity due to increase in prices of their products and services as a direct result of VAT. It is the reason that several sectors suffered badly amid VAT and few were even given exemption from VAT in order to let them survive in difficult conditions. But it isn’t the case with all business sectors and there are several sectors that maintained their growth by absorbing burden of VAT with few timely and beneficial policies. 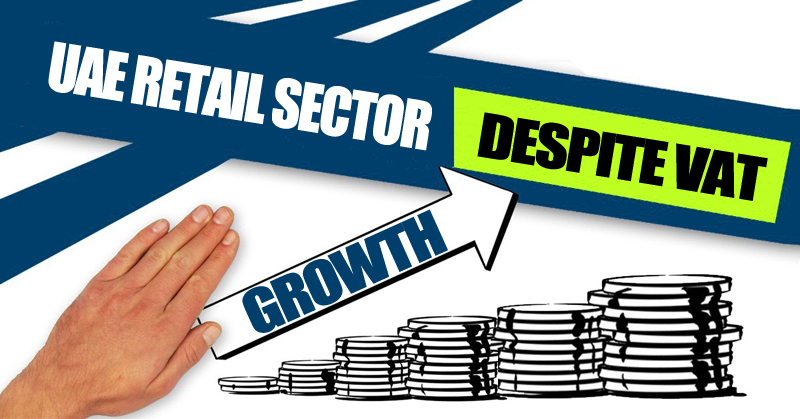 One such sector is the retail sector. A recent report shows that this sector has managed to get back on track after a slight fall in beginning of year soon after the implementation of VAT. An important reason behind this recurrence of growth by the retail sector is due to its strategy to provide great value to its customers. The report says that this sector is now growing at a compound annual growth of 4.9%. It is according to the rate that was predicted by famous institutes. Dubai and Abu Dhabi are two main centers of retail sector in UAE that hosts around 49% and 36% of shopping malls in UAE respectively. International and local agencies like Euromonitor and Dubai Chamber are predicted a sizeable growth in UAE retail sector by 2021 while data from LinkedIn shows that retail and hospitality are two fastest growing sectors in UAE in the past 15 years. Experts are of the view that consumers in UAE give importance to price but they also want to purchase quality products and they are ready to spend more if they get good products in return. Therefore, the behavior of local population has also played an important role in achieving this fate for retail sector. An example is high sales of fresh fruits and organic products in the country. These products are relatively expensive but a growth in their sales is highlighting the attitude of UAE residents. Lower rate (5%) of VAT as compared that of countries in Europe and MENA region is another important reason for absorbing of this tax easily by shoppers and retailers. The government of UAE is fully aware about future prospects of growth of retail sector in the country and is trying to maximize space for this sector. Currently, UAE is at the 5th spot worldwide for retail expansion. Dubai and Abu Dhabi are expected to add 717,000 square meters and 467,000 square meters of space respectively this year. It is only possible due to current trend and future growth prospects of retail sector in UAE. The recent report is very encouraging that clearly highlights the opportunities available for retailers in present and future. Companies dealing in retail products should take full advantage of these benefits available in UAE for their potential business. For this purpose, you can contact Riz & Mona Consultancy via our WhatsApp # 971-56-9971225. We can assist in providing complete guidance and practical assistance in setting up your retail business in any of the 7 emirates of UAE.